I am the hope of the universe. I am the answer to all living things who call out for peace. Your son may be an alien. Yeah, you thought he was a unique human kid, but he has power. Power beyond measure. The kind that can be used to save the planet, or destroy it. You will have to channel your inner Master Roshi, and teach him to be a hero, not the kind of alien who wants to destroy the earth. 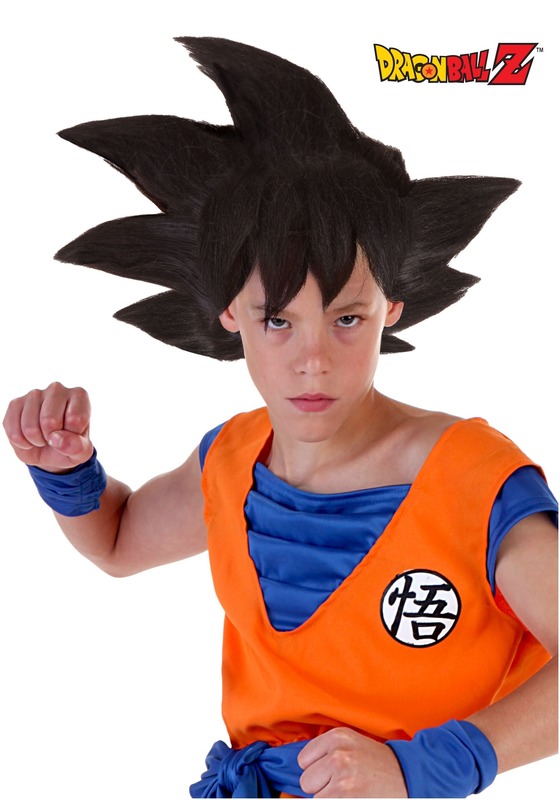 Put this Child Goku wig on your kid, and start training him to be a master martial artist. Just whatever you do, do not let him look at the full moon while wearing this wig. We aren't saying for sure that he will turn into a giant ape, and try to destroy everything, but we aren't saying he won't either. You always new your kid was unique, but with this wig he will be the hope for the universe. The answer to calls for peace. We were very disappointed with this wig. It didn't look anything like it was suppose too. It didn't have any kind of shape like in the pictures. My son was very sad when he pulled it out of the box. We ended up going to an actual Halloween store to purchase another one. This wig arrived in a crumpled up mess. No style to it and there weren't spikes like in the picture. I bought this, along with the costume, for my five year that is a huge Dragonball fan. He was so excited and checked the mail every day until it arrived. When we opened the box, he started CRYING. It was such a HUGE disappointment. DON'T WASTE YOUR MONEY! My son wanted to be Goku, and this was a great costume the wig complete the costume made it an amazing Halloween fir him. It was just what I wanted for himthe wig arrived nicely packed in a box ready to wear. me gustó,el único detalle es que yo la tengo que estilizar.